The UFC returns with a new event this weekend with their upcoming UFC Sao Paulo show. UFC Sao Paulo goes down on Saturday, September 22, 2018 at Ginásio do Ibirapuera in São Paulo, Brazil. The main card will air on FOX Sports 1 at 10:30 p.m. ET while the preliminary card will be split broadcasted on FOX Sports 1 at 8:30 p.m. ET and the promotion’s streaming service, UFC Fight Pass, at 6:45 p.m. ET. 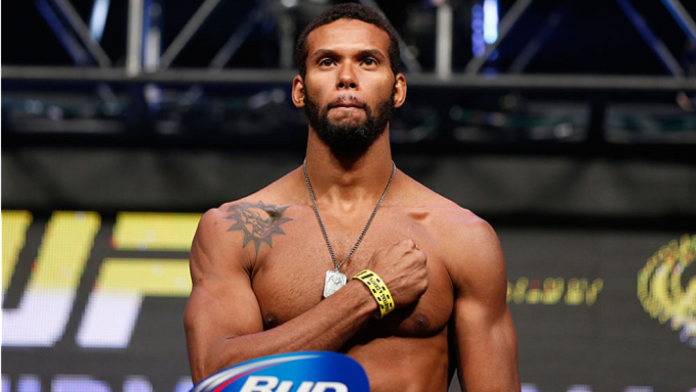 Eryk Anders vs. Thiago Santos in a light heavyweight bout will serve as the main event. This was not the original main event but instead, fighters who were originally announced as part of the headliner has gone through some changes. A light heavyweight bout between former UFC title challenger Glover Teixeira and Jimi Manuwa was expected to serve as the event headliner. This fight got scrapped once Teixeira pulled out on August 14 due to a shoulder injury and was later replaced by Thiago Santos. Then, earlier this week, it was revealed that Manuwa had to pull out because of an injury. Thus, the Las Vegas-based promotion got Eryk Anders to step-in on short-notice. A welterweight bout that will see Alex Oliveira vs. Carlo Pedersoli Jr. will be the co-headliner. Rounding out the five bout card is Antonio Rogerio Nogueira vs. Sam Alvey in a light heavyweight bout, Renan Barão vs. Andre Ewell in a bantamweight bout, and Renan Barao vs. Andre Ewell in a bantamweight bout. The preliminary card will be headlined by Charles Oliveira vs. Christos Giagos in a lightweight bout. Welterweight Bout: Alex Oliveira vs. Carlo Pedersoli Jr.
Do you plan on watching this event? Sound off in the comment section.